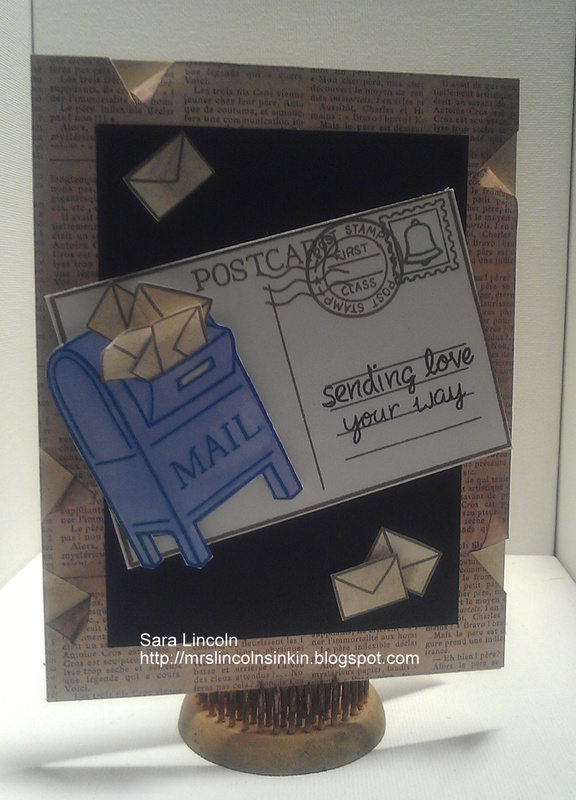 Today's card is a card where i used a new Lawn Fawn set (well, it's new to me, lol) called You've Got Mail! I have been waiting to get this set for what seems like forever!!! I love the Lawn Fawn stamps. They are totally clear which makes it easy to see where you are placing them! Right now SU! 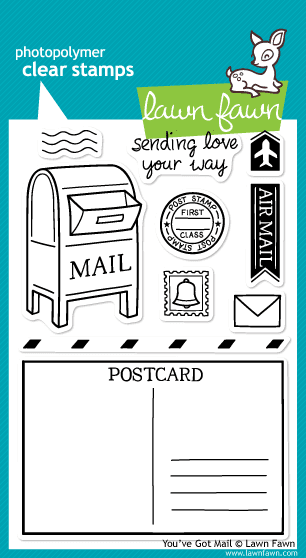 has a promotion going on for a new set of Photopolyer Stamps, click here to see the flyer. I really hope that they continue to come out with them!!! I started my card off with a normal size, 4 1/4" x 5 1/2", piece of Very Vanilla for my base. I then used a piece of DSP from the Lost & Found series called Madison Avenue. I wanted the paper to look old and worn so i used my paper snips to cut slits into it and then rubbed on some Distress Ink- Old Paper around the whole thing. I then took a piece of Basic Black cut at 4 1/2" x 3 1/4" and placed it in the center of my "slits" that i made. 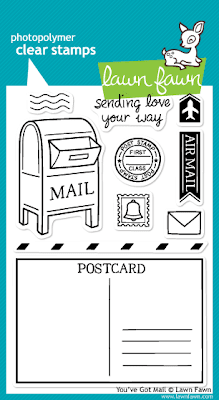 I decorated my post card the way that i wanted it on a piece of Whisper White Card Stock and then﻿ colored and cut out my mailbox. For my mailbox i stamped my image in Pacific Point Ink and then colored it with my B21 Copic Marker. Normally when i am coloring with Copic, i stamp my image in a Memento Ink. This is the only ink that i have found doesn't run or bleed when the Copic ink touches it. 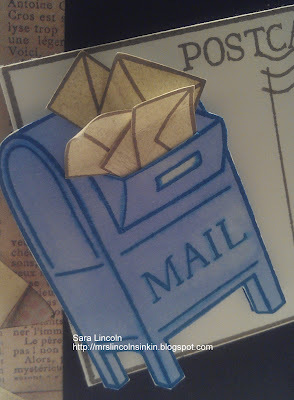 However this time i did want the ink to run a bit... i think it gives it a nice look so i just used my normal ink!﻿ I cut out about 5 envelopes out of the Very Vanilla and then stuffed them into the mailbox. Curled up the corners a bit to give it some more dimension! We all know how much i love dimension! I hardly write comments, however i did a few searching and wound up here "Sending Love". And I do have 2 questions for you if you don't mind. Could it be simply me or does it give the impression like a few of the responses look as if they are written by brain dead visitors? :-P And, if you are writing at other places, I would like to follow anything new you have to post. Would you make a list of all of your social pages like your twitter feed, Facebook page or linkedin profile?